The Knork is a unique and functional utensil that allows people with limited dexterity to cut and eat food easily with one hand. In reality this beautiful utensil is unlike anything else on the market. And the proof is in the use. 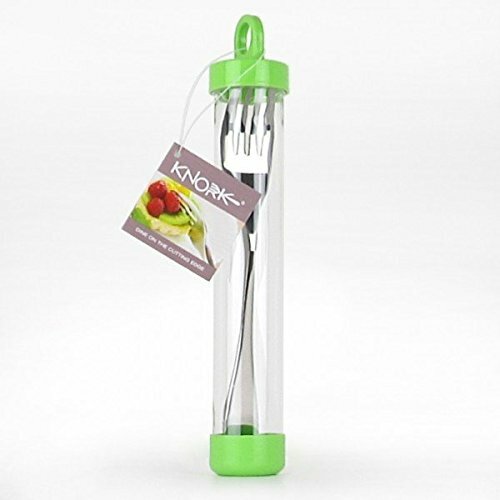 Incorporating critical modifications to the ages old fork design, the Knork enables a user to both cut and spear food using only one utensil - and one hand. This fork head is able to cut easily by rocking it on the curved edge with out being sharp or serrated. The finger platform has a greater area on both sides of the neck to allow for more comfort and less effort when cutting food. The contoured handle adds stability to the cutting function when being used in the left or right hand. If you have any questions about this product by Windsor Direct Distribution, contact us by completing and submitting the form below. If you are looking for a specif part number, please include it with your message.